Razvan Nane, Vlad Mihai Sima, Christian Pilato, Jongsok Choi, Blair Fort, Andrew Canis, Yu Ting Chen, Hsuan Hsiao, Stephen Dean Brown, Fabrizio Ferrandi, Jason Helge Anderson, Koen Bertels. 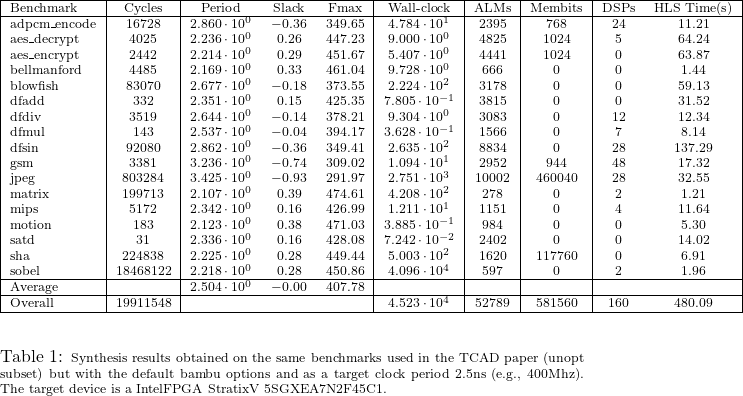 “A Survey and Evaluation of FPGA High-Level Synthesis Tools”. IEEE Trans. on CAD of Integrated Circuits and Systems 35(10): 1591-1604 (2016). Source code of such benchmarks are distributed together with the PandA framework.